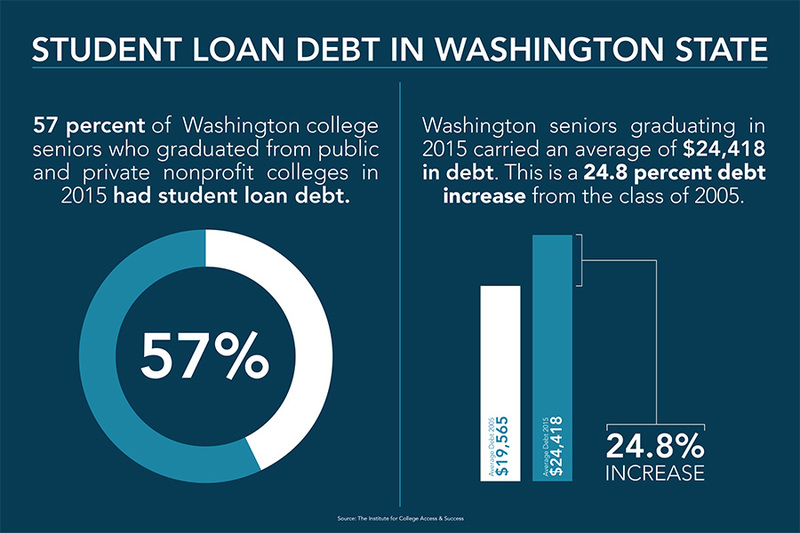 OLYMPIA — Attorney General Bob Ferguson today filed a lawsuit against student loan servicer Navient Corporation, an offshoot of education-finance giant Sallie Mae. In addition, Ferguson also announced his agency-request Student Loan Bill of Rights legislation, introduced this session, to provide more resources for students and establish standards for student loan servicers like Navient. The lawsuit, filed today in King County Superior Court, accuses Navient, the nation’s largest student-loan servicer, of a number of unfair and deceptive practices. Those practices included improperly steering financially distressed students toward short-term forbearances, engaging in aggressive and misleading collection tactics and more. 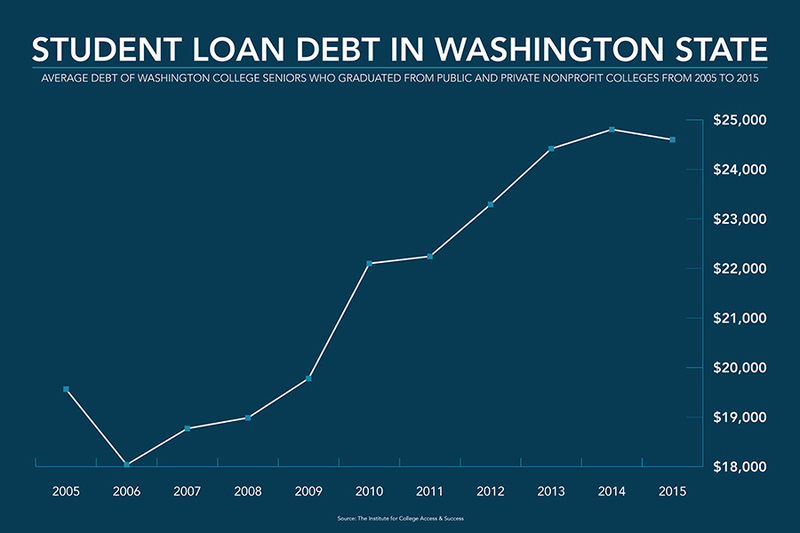 The lawsuit may potentially impact thousands of Washingtonians, including anyone who received private student loans from Sallie Mae prior to 2009 and anyone who has their loan serviced by Navient and has experienced the alleged conduct. Today’s lawsuit is the culmination of a multi-year investigation by Washington, Illinois and the federal Consumer Financial Protection Bureau, involving depositions and interviews of Navient executives and the review of thousands of pages of company documents. The lawsuit is filed in conjuncti on with similar suits by the Illinois Attorney General’s Office and the CFPB. While operating as Sallie Mae, Navient made subprime, predatory loans to students attending for-profit colleges with graduation rates lower than 50 percent, despite clear expectations that an extremely high percentage of students would not be able to repay them. Navient made these subprime loans as part of “preferred lending” programs with schools in order to gain access to highly profitable federally-guaranteed loan volume and “prime” private student loan borrowers. The lawsuit accuses Navient of improperly steering financially distressed federal loan borrowers into short-term forbearances, rather than assisting borrowers in applying for income-driven repayment programs where appropriate. While forbearance is good for the company because it is simple and cheap, it’s not as good for borrowers long term. Forbearance allows payments to be temporarily suspended, but interest continues to accumulate. When repayment resumes, that accumulated interest is added on to the loan principal, so borrowers end up paying interest on their interest. Navient also allegedly failed to adequately inform those borrowers who did choose income-driven repayment programs of their yearly obligation to re-certify their income and family size. Instead, many borrowers received emails saying only that there was a document waiting for them and to log in to Navient’s website to learn more. Borrowers who did not realize the significance of these generic emails were often penalized with significant monthly payment hikes. Applying and allocating payments is one of the core functions of a student loan servicer. But the investigation also found that when servicing student loans, Navient misapplied borrower payments and failed to follow borrower instructions concerning how excess payments should be allocated, causing borrowers to receive unnecessary collection calls, and requiring them to spend time correcting Navient’s mistakes. One Washington borrower told investigators that her loans are on autopay and she pays more than the amount due each month, but for months she and her co-signer received harassing collection calls on past due balances. The investigation found Navient deceptively promoted a “co-signer release” feature of private loans to entice family and friends to co-sign loans. The representation was that once the borrower has demonstrated an ability to pay, the co-signer may apply to be released. In practice, Navient put up arbitrary barriers and failed to disclose that very few borrowers ever achieve co-signer release. One requirement for co-signer release is making consecutive on-time payments. Navient applied this requirement in ways reasonable borrowers couldn’t have foreseen. For example, if a borrower’s monthly payment is $100, but she makes a $300 payment one month, Navient would advance her due date and would send a bill with $0 due for the next two months. If the borrower did not send additional payments in response to those $0 bills, Navient would count that as a failure to make consecutive, on-time payments, even though the bills were not only current, but paid ahead. The Attorney General will also ask for any restitution the court deems appropriate, including loan forgiveness for students who were harmed by Navient’s practices. Student loan borrowers who believe that they have been subject to these, or other, unfair or deceptive practices by Sallie Mae or Navient are encouraged to file a complaint with the Attorney General’s Office. Anyone with questions about student loan servicers should read the Attorney General’s new student loan guide. Attorney General Ferguson is committed to standing up for students by going after predatory for-profit colleges and making sure loan servicing companies play by the rules. He has also cracked down on debt adjustment companies that charge fees to help borrowers consolidate their federal student loans and enroll in income-driven repayment plans — tasks that borrowers’ loan servicers can and should help them with for free. More information on the office’s student loan work is available here. After investigating companies like Navient, Attorney General Ferguson is also asking the Legislature to enact fixes to some of the problems with student loan servicers like Navient. Ferguson has proposed the Student Loan Bill of Rights, which would establish baseline standards for student loan servicers, and create a student loan ombuds to receive and help resolve student complaints and provide educati on for borrowers. Sen. Marko Liias, D-Lynnwood, is the sponsor of Senate Bill 5210, and Rep. Monica Stonier, D-Vancouver, is the sponsor of House Bill 1440. Connecticut and California, in addition to Washington, D.C., have passed similar legislation. “As a 2003 grad who’s still repaying my student loans, I know what it’s like to wrestle with long-term debt. We need to give consumers basic protections against bad actors. Empowering our Attorney General's Office and creating a new student loans ombuds will ensure that borrowers and families have advocates and assistance when they need it." For most federal borrowers, the process for consolidating loans and applying for income-driven repayment plans is fairly straightforward: The borrower fills out a two-page application, verifies his or her employment and income, and submits the package to the federal Department of Education. This process is done through the DOE for free and typically takes four to six weeks. Learn more at Federal Student Aid's website. Income-driven repayment plans allow borrowers to pay a percentage of their discretionary income. Ferguson urges students with questions about consolidating federal student loans to contact the Department of Education’s Loan Consolidation Information Call Center at 1-800-557-7392 before applying for consolidation. The Department of Education also provides technical assistance as borrowers fill out the consolidation application online. Ferguson also urges current and former students never to pay up front for help with student loan debt relief. For information on sources of assistance, contact the Consumer Financial Protection Bureau or the National Consumer Law Center.